Wyoming is the least populous state in the entire country, making it the ideal state for anyone who values wide open spaces. Because people are so few and far between in Wyoming, many fugitives who have skipped out on bail believe they will never be caught. Luckily, Wyoming allows bounty hunters to work in the state to bring these criminals to justice. 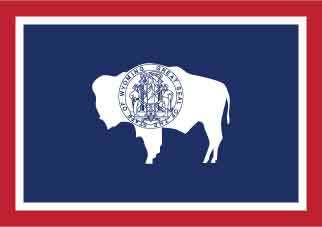 Wyoming has passed no specific laws related to bounty hunting, which means there is no licensure procedure. However, there are still a few rules you should follow before beginning your career as a bounty hunter in Wyoming. Education: There are no educational requirements for bounty hunting work. Age: You must be over 18. Degrees: Possessing a degree is not required, but you should consider enrolling in a criminal justice program. Experience: You can work as a bounty hunter without experience in Wyoming. However, many prospective bounty hunters gain experience by working with someone who is already familiar with the profession. Citizenship: US citizens and aliens legally allowed to work can seek employment as a Wyoming bounty hunter. Employment: If you want to work as a bounty hunter in Wyoming, you should either be employed by a bail bondsman or become a bondsman yourself. Notification: Although it is not a requirement, you should consider notifying law enforcement agencies that you plan to work as a bounty hunter. This serves two purposes. First, it will help you avoid any legal consequences. Second, it will expand your professional connections and help you get access to more lucrative bonds. Your own judgement will be the deciding factor on when you’re ready to start your career as a bounty hunter. Once you have decided you’ve gained enough experience from working with your mentor, and have either gained employment with a bond agency or become a bail bondsman yourself, you can embark on your bounty hunting career. Working as a bounty hunter is comprised of investigating the whereabouts of bond skippers, tracking them down and arresting them. Wyoming is slightly different than other states in how its bounty hunters can operate. For example, Wyoming bounty hunters do not need court approval before making an arrest. However, you will have to comply with general state and federal laws, or you may face arrest yourself. If you are seriously considering becoming a bounty hunter, it’s a good idea to pursue education first. While there are no specific degrees in bounty hunting, there are programs that are closely related to the career. Educational programs related to criminal justice, forensics, investigation and sociology can all help you with your career. Some bounty hunters choose to work in multiple fields to maximize their income. Potential careers that are similar to bounty hunter work include private investigation, process serving and multiple areas of the legal system. The two most common cities for Wyoming bounty hunters to work in are Cheyenne and Wyoming. These are the state’s largest cities, which means they provide the most opportunities for bounty hunters. You could also choose to work in areas like Laramie, Sheridan and Rock Springs. Career data for the profession of bounty hunting is hard to come by. Fortunately, private investigation serves as an adequate proxy. According to the Bureau of Labor Statistics, 190 private detectives were working in Wyoming in 2015. The statewide average annual salary for private investigators in Wyoming is $74,230. In Cheyenne, the average salary is slightly higher at $79,000.